Selling more is always a goal. You put hard work into the craft, you want more people to enjoy the fruits of your labor. Before you think of selling your beer at retail, before you even package your beer, there are some things that will help you sell more of your beer at retail. Tiffany Adamowski and her husband have been operating 99 Bottles beer store, in Federal Way, Washington for the past 7 years. Tiffany was our guest on MicroBrewr podcast episode 029. She taught us how to sell more beer through your local craft beer store. She had so many great tips that I asked her to write a couple of blogs posts to go into more detail. In her last post, Tiffany told us some tips to build relationships with your local craft beer store. In this post she helps us understand the deep, complex reasons that one beer will be a hit seller. 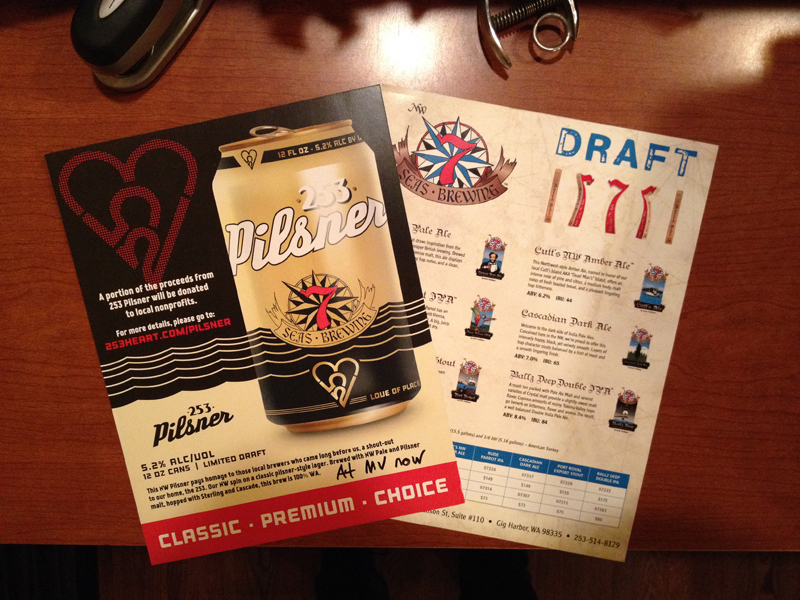 Beers with catchy, fun, and unique brands are easiest to sell on a customer’s first visit. Beer brands that sell well repeatedly over time, on a customer’s return visits, those that deliver on the promise of who and what they say they are—they’re consistent and familiar. Stone Brewing Company: Beer with attitude, not for wussies. Sierra Nevada Brewing Company: Whole cone hops; sustainability. Dogfish Head Craft Brewed Ales: Off-centered, unique beers. What’s your beer’s story? …its flavor? …its style? Does its name and packaging reflect this? Note, when giving your beer a name, it’s a good idea to do a trademark search on the U.S. Patent & Trademark Office (USPTO) website to avoid any possible trademark infringements and costly rebrands. Branding creates an identity. 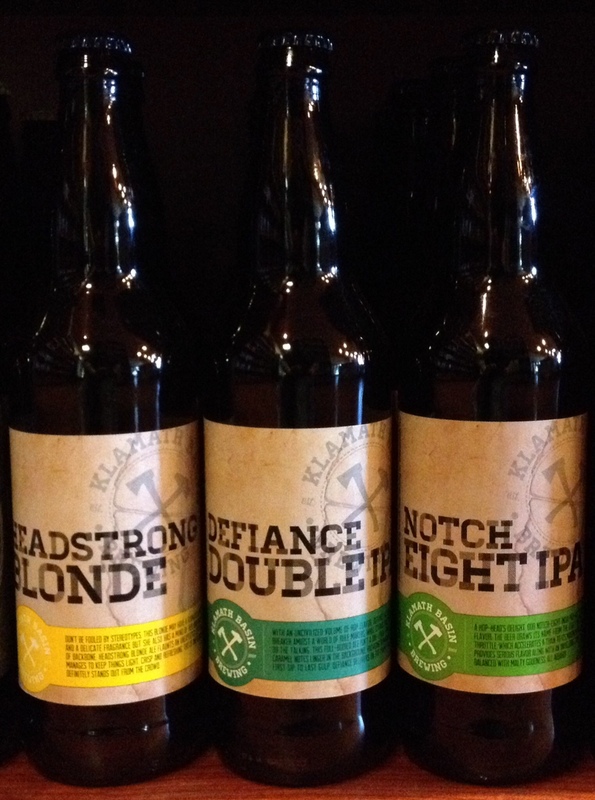 Does each of your beers have a unique personality deserving of a name, or are they simply named: “Blonde, IPA, Pale Ale, and Stout”? Do all the labels look exactly the same, or are there personality differences? Is there one strong theme that pulls all your labels together… or does the label on each beer look so different that your brand is disjointed and confusing? What’s your angle? How did the beer come to be? Provide fun trivia and stories to those representing your beer to consumers. Equip the people who represent your brand—share information at in-store tastings, through your brewery’s website and social media platforms, sales sheets, and shelf talkers. With a good story, a retailer can sell a lot of beer. Price your beer to keep your brewery operations in the black, but don’t price so high as to slow it down at the retail location. If you’re starting out and not sure what to charge, check out the retail prices of competing beer brands and ask local independent retailers for information on typical wholesale pricing. The opinion of another person, who may or may not have the drinker’s preferences in mind, can have a HUGE influence on the purchase decision. 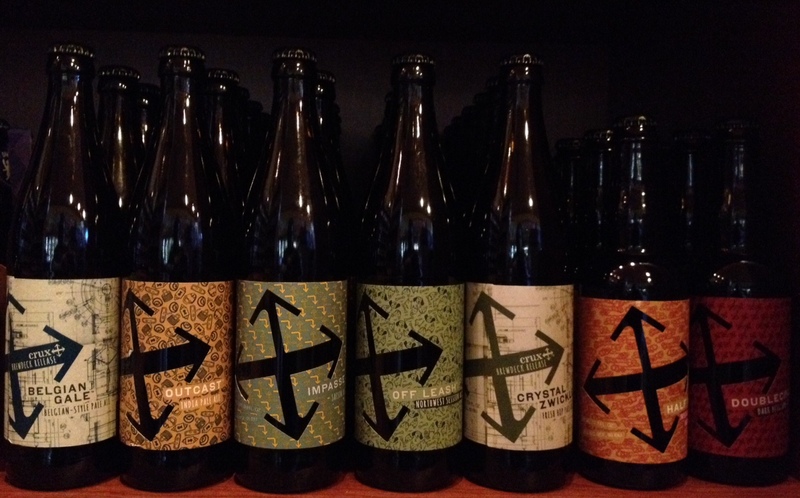 The small independent craft beer retailer has this advantage: Trust. Like the TV series “Cheers,” your local beer store gets to know its regulars. The retailer points their regulars to beers they believe will be appreciated. And for new customers, the local craft beer store aims to get the drinker into a beer they’ll like, so they’ll return—and tell their friends about the experience. This is quite different from mega liquor chains who focus on upselling certain brands. The independent specialty craft beer store is better equipped to showcase any and all breweries’ offerings to their customers. Third-party lists and recommendations also have an impact. Every week people walk into the beer store with lists of “top beers”—not realizing that most on the list are “beer whales.” (Like whales in the ocean, everyone talks about these limited-release beers, few see them.) Most of the general beer-seeking public don’t understand the concept of annual release, brewed once, draft only, and regionally available. Hence, what excites me most are realistic lists—beers recommended by local beer bloggers, beers that are readily available in our State. But such lists are few. Getting your year-round beers in the hands of local bloggers, news sources and publications who can make “top lists” or “beer picks” lists is most helpful to the average consumer. Radio, TV, magazines, and podcasts also have an affect on people seeking out your beers. 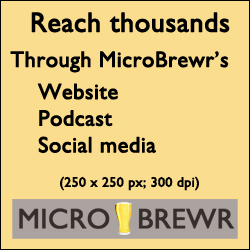 In 2011, the Smithsonian wrote an article on Dogfish Head’s Midas Touch; due to longevity of posts on the Web, people are still coming in seeking out that beer, while referencing the article. It tastes good: Quality is oh-so important! I can’t overemphasize quality. If a craft beer tastes bad, a craft beer newbie is likely to say, “That style is nasty,” even though it may have simply been an off batch, product gone bad, or ingredients used in a way that aren’t to their personal preference. Over the years, I’ve heard a lot of small breweries express their goal of getting their product on the shelves of a major retailer, such as a grocery store or mega liquor chain. This is where I get out my soapbox and say to a new brewery, “Be careful.” Distributors sometimes push products into a big-box store for the sale, allowing product to expire on the shelves. I really feel this does craft beer an injustice—if someone’s first experience with a craft beer is a beer that tastes off… well, that’s just bad business. When brewing flagship beers that are packaged in bottles/cans, don’t continually tweak recipes. Save those experimental batches for the brewpub or accounts who can adequately represent them. People who fall in love with your beer are expecting a consistent flavor. Handcraft is easy to explain, but extreme changes in flavor aren’t… they can lose you followers. If you realize a beer didn’t hold up as long as expected, have foamers, or unintentionally soured beers, be humble, confident, and have the balls to do recalls. It’s not just your name on the line, but the name of the retailer who is representing your brand. Trademark Electronic Search System (TESS), U.S. Patent & Trademark Office (to make sure your desired brand name isn’t already owned by someone else). The Beer Archaeologist by Abigail Tucker, Smithsonian Magazine, August 2011. Every Good Brewery Has a Creation Story, The Beer Spectacles, January 6, 2014. What’s wrong with beer marketing? -> A beer duet – @SommBeer & @HopsCanary, SommBeer – Beer Blog, July 24, 2014. Congratulations! 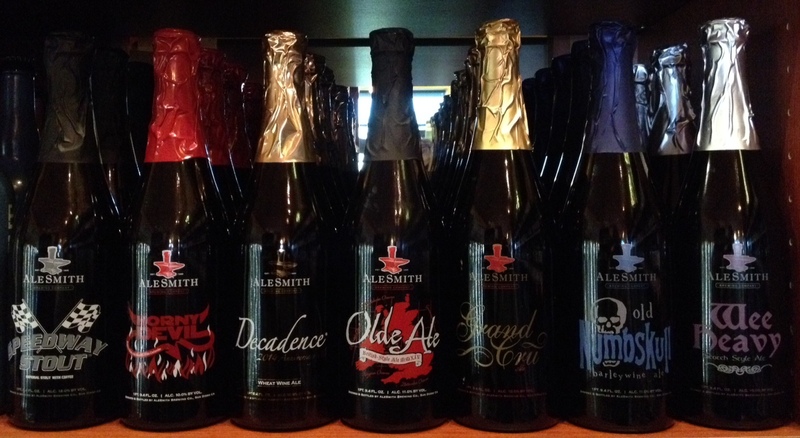 You’re working toward selling your packaged beer at retail. You have been making great beer for a while. Things are going great at your taproom. Your customers are starting to ask where they can buy your beer. 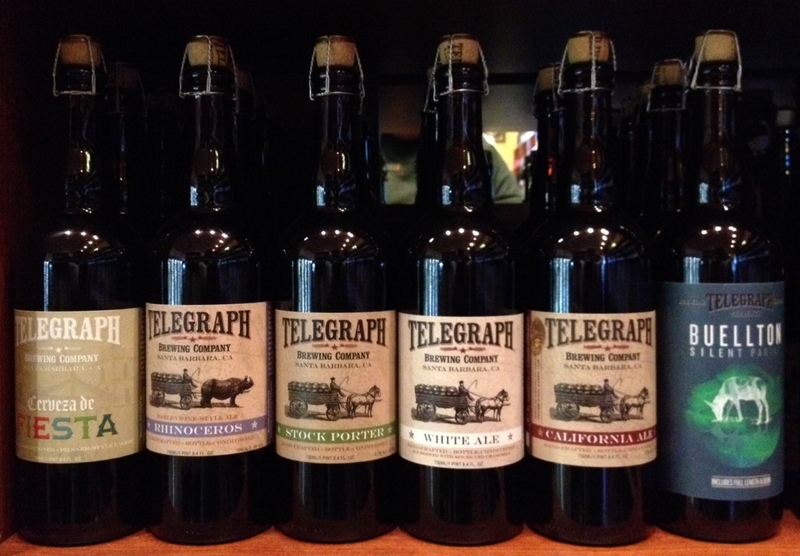 Here are some tips to help you as you reach out to local beer stores. In this post Tiffany help us understand how to build relationships with your local craft beer store. In the next post she’ll dig deeper into selling more beer through your local craft beer store. 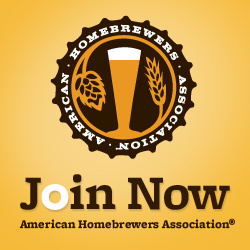 So, I hear you’re starting a brewery or becoming a brewery representative, and want to know how to sell product to your local craft beer store. I’ll offer a bit of advice, from the perspective of a craft beer retailer. Hello, my name is … I represent brewery name. We have beers available for your shop, in (format: kegs, bottles, cans). Here is our sales sheet, samples, and my contact information. 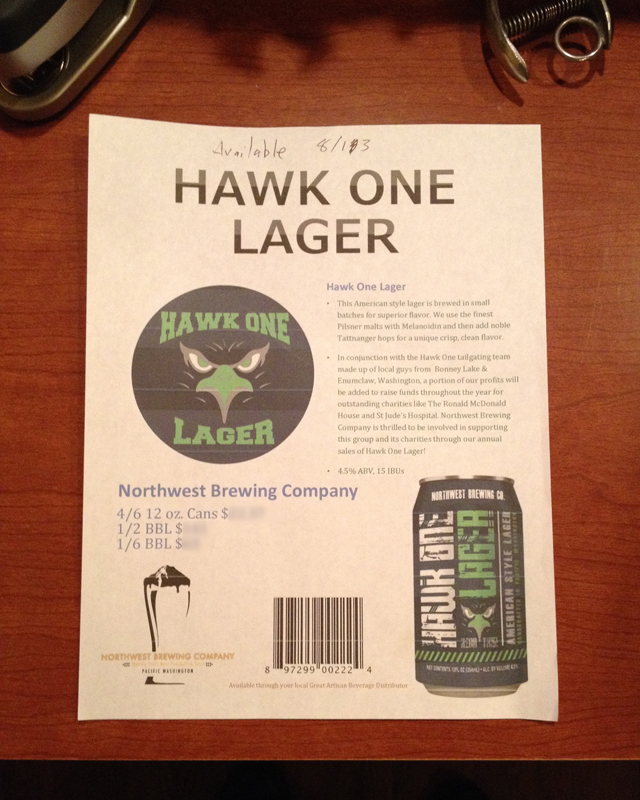 Our beers will be available through (distributor name, self distributed). Is there a good day/time that I can follow-up? If you offer to follow up on a specific day/time, keep that appointment. Understand that the shopkeeper at small craft beer shops often wear many hats. Be aware of other demands on the retailer while you’re there. Realize that they need to focus first on their customers—both in person, and on phone, while you’re making your visit. Avoid dropping in during “busy times” to pitch your product. For a specialty craft beer store this is often drive-time. Beer bars that serve food may have blackout times during lunch, happy hour, and dinner. If in doubt, call ahead and schedule a time. Contacting by email? If the email isn’t available on the shop’s website or you’ve not received an answer to a cold email, call the business and ask for the name and email of the person who does the ordering. Brewery name, location, web and social media addresses. Beer name, flavor description, alcohol by volume (ABV), international bitterness unit (IBU), original gravity (OG)—if available, wholesale price, availability (year-round, seasonality, one-off, etc.). Distributor name—if the brewery is self distributing, the sales person’s name and contact information, order due-by days, delivery days. For larger retailers, include the product SKUs. Niceties include product images, a list of point-of-sale merchandise available, MSRP, and the background story to the beer and/or brewery. Establish certain days for delivery. Find out what times are best for each retail establishment. A beer bar that serves food may be too busy to accept deliveries during meal hours (lunch/dinner). Often times bottle shops have more versatility in delivery times, but be sure to learn which times are best—they may also have black-out times for delivery due to increased customer flow. Deliver what you promised; don’t pull cases off one account’s order to give to another. If you’re going to have to short a retailer what they’ve ordered due to limited supply and high demand, communicate this in advance. Don’t rely on your delivery person to relay the news. Beer is a controlled substance and your State’s Alcohol Control Board requires you to take payment cash on delivery (COD). Thus, have a means to safely store and transport checks and/or cash with you. Shoving a check into your back pocket? Double think that. Calling the retailer later because you misplaced the check simply shows a lack of professionalism, and can cost them and/or you bank stop-payment fees. Delivery person math challenged? Get them a calculator. Cases can be damaged in transit, keg shells may need to be returned, or you may have extra cases available. Have a price sheet on hand. Be prepard to adjust invoices on-the-spot. Keep track of your customer’s information, and make sure that if you’re relying on a business partner or employee to make sales calls that this data is retained at the company level. Thus, if your brewery’s ownership changes or that salesperson leaves the brewery, you’re not left rebuilding relationships from scratch. A simple Excel spreadsheet can work, or consider using Customer Relationship Management (CRM) software. Chief decision maker/buyer: first and last name, phone number (business and cell*), email address, preferred contact method (in person, phone, text, email), days/times available (so you’re not always calling/stopping in on their day off). Names of other staff at the location who are able to assist: Managers, receiving clerk, and/or staff who may have impact on the purchasing decision. Preferred delivery days/times, delivery access (front, back, side door?). The date and time you called on them, what was discussed, items promised (POS, allocations of limited/rare beer, etc. )—and when those promises were fulfilled. How the account is presenting and representing your brand. Initiatives you’ve taken to drive sales at the establishment—and their success rate. Niceties and conversation starters that come up in your conversations with them, such as their favorite beers and/or styles, styles that sell well at that specialty beer business, birthdates, anniversaries, kids names, etc. Jot down anything that can help you better present and become more trusted, familiar, and friendly (but avoid being creepy or stalkerish). *If given a cell number, don’t give it to people looking to buy your beer in that city. Give the main business number of the retail establishment. The Best Way To Manage Customer Relationships by Kern Lewis, Forbes, February 13, 2009. New Belgium boosts customer relations and sales with Microsoft Dynamics by Sean Dudley, OnWindows, March 5, 2014. Why is there a need for CRM solutions in the Beverage Alcohol Marketplace? by Tade Pulse. Customer Relationship Management (CRM) software by OrchestratedBEER™ Business Management Software for breweries. Image showing Handshake by Aidan Jones on flickr (CC BY-SA 2.0) was modified from its orignal state. Tiffany Adamowski and her husband have been operating 99 Bottles beer store in Federal Way, Washington for the past 7 years. She tells us how to work with a craft beer store like hers to sell more beer. 99 Bottles has over 1,200 labels of craft beer in stock from over 40 different countries. They also have ciders, meads, and a gigantic selection of beer kegs. They do growler refills and they offer tasting flights every day. 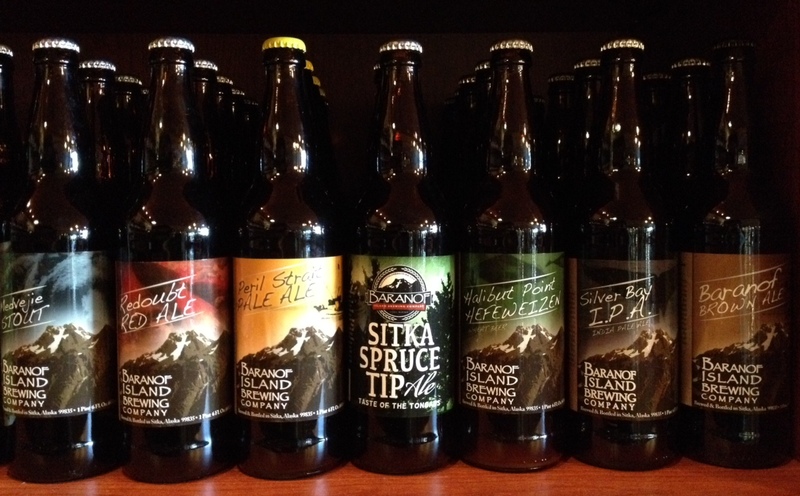 99 Bottles has won a bunch of local awards like “best beer selection,” “best beer store,” and “don’t miss” bottle shop. This a long episode, but stay tuned through the whole thing because Tiffany gives tons of super detailed advice on how to sell more of your beer at retail outlets like her beer shop. Email before you visit a store, don’t stop in unannounced. Use customer relations management (CRM) software to keep track of your contacts and to pass the information on to the next sales person. Drop off samples with a business card, and a flier about your brewery. 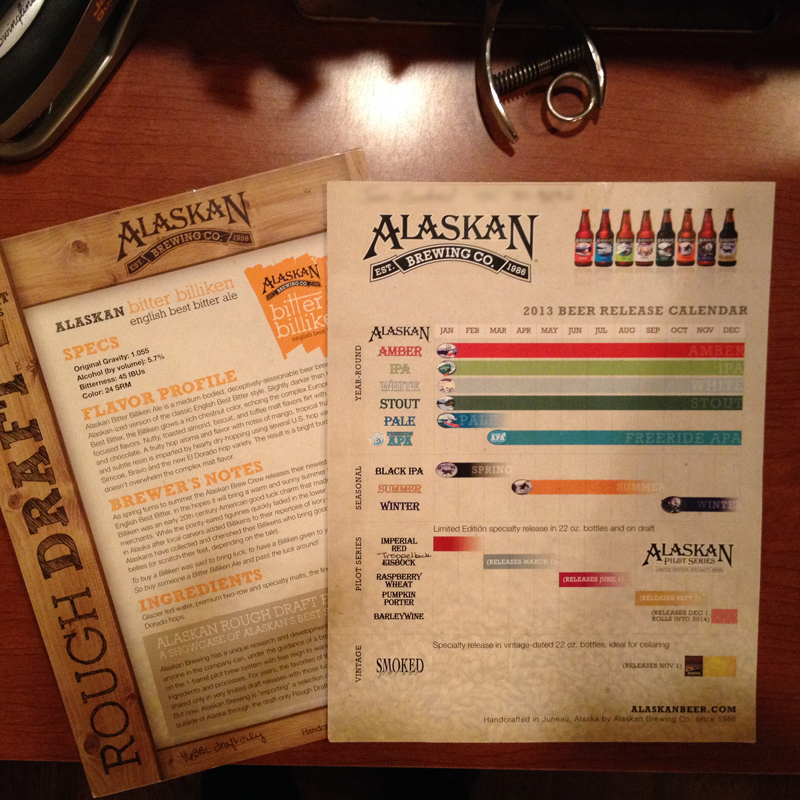 Provide basic information about each beer including: ABV, IBU, description, format, shelf life, storage temperature. When you go to brewer’s night at the shop, be sure to mingle with the customers. Be careful about thin beer bottles, especially for bottle-conditioned beer, you don’t want your product exploding on the store shelf. 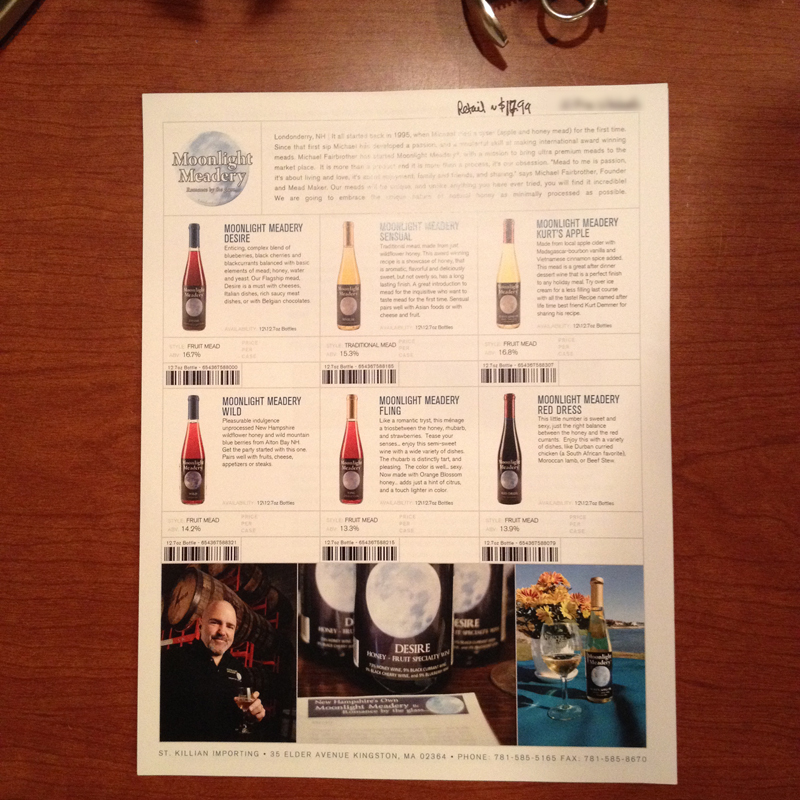 Bring extra labels when you visit a store, sometimes bottles arrive unlabeled. Ask Tiffany any question about working with retailers to sell more of your beer. Leave your questions in the comments section below. Tiffany will keep watching the comments for the next 30 days to answer as many of your questions as she can. Be sure to connect with 99 Bottles beer store and thank Tiffany for being on the show and for helping us out with questions. UPDATE: Thirty days is up, Tiffany is no longer monitoring the questions here. You can still reach her through the links below. From Jon Tiffany: What is an upcoming brewery that we should our eye on? 50 Scottish beers with the best names, Caroline Young, herald scotland, January 31, 2013. Building relationships with your local craft beer store, Tiffany Adamowski, MicroBrewr, November 7, 2014. 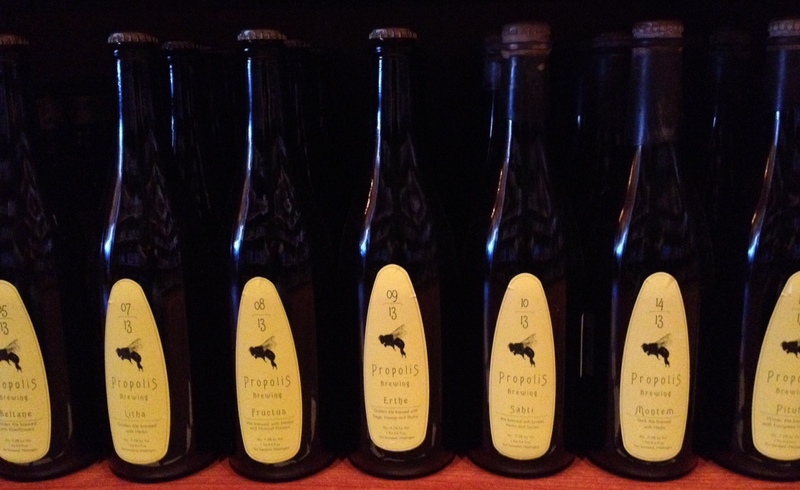 Selling more beer through your local craft beer store, Tiffany Adamowski, MicroBrewr, November 12, 2014.